(Newser) – It's a heist that didn't exactly require sniffing dogs: Austrian police stopped three overloaded and sagging vans about to cross into Hungary from Austria today and found them packed to the roof with allegedly stolen garlic—about 9.5 tons of the pungent cargo. After questioning the five men—all Romanian nationals—in the vehicles they charged them on suspicion of receiving stolen goods. That's hilarious. 19,000 lbs of Garlic. 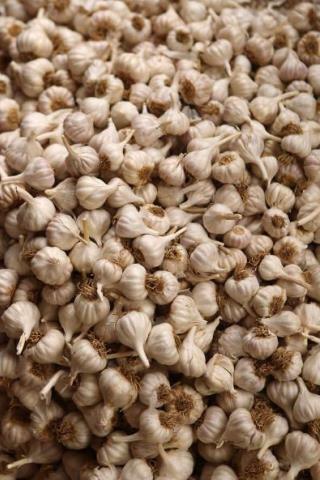 Is there a garlic shortage? I think the vampire crap is pretty funny. please stop joking about vampires,it is so predictable, no one is going to laugh on this crap.